WE’RE ALL CONNECTED through the miracle of global shipping. Sometimes, that leads us to semi-awkward conversations with random strangers about consumer goods from overseas. Not long ago, I was waiting in line at a Maine Turnpike northbound rest stop when I overheard the customer in front of me complaining about the price of a bottle of Evian water. I did some quick mental math and decided that $4 actually wasn’t so bad, considering what it took to get that water into his hands. As casually as possible — you know, just mindless turnpike rest stop chatter — I tried to offer a different perspective: The water had presumably sprung from the ground somewhere in France, had been poured into the bottle, crated, loaded onto a truck, transferred to a shipping container, craned onto a ship, carried across the Atlantic, unloaded (probably in the Port of New York and New Jersey), transferred to another truck, driven up the interstate, and eventually stacked into the refrigerator of the Kennebunk service station. So maybe $4 was cheap. The guy gave me the kind of shrug that said, “Are you mansplaining to me?” He moved along. At the time, I was completing a two-year inquiry into the tragic end of the SS El Faro, a 790-foot American container ship, and I’d been thinking a lot about the hidden costs of the stuff of modern life. The El Faro was a 40-year-old ship crewed with 33 mariners — eight of whom were New Englanders — that mysteriously steamed into a Category 3 hurricane and vanished off the Bahamas in October 2015. The disappearance of El Faro triggered a massive federal inquiry jointly run by the National Transportation Safety Board and the US Coast Guard. As I followed that investigation, I became increasingly fascinated by the shipping industry itself. Read: Workers of the high seas, unite! The forces that sent El Faro steaming straight into a hurricane and eventually plunging 15,000 feet down to the ocean floor were numerous and complex. But the more I learned, the more I understood how cheap shipping is the backbone of the global economy; it’s the answer to every question you ever had about how the modern world works. In the modern global system, moving goods around costs next to nothing. Shipping companies have achieved mind-boggling economies of scale. We now have megaships, mammoth vessels that can carry 20,000 containers. Automated loading cranes in every port can load and unload enormous ships in record time. While the average American may never even contemplate how that bottle of water got here from France, or that pair of shoes from Cambodia, or that fancy phone from China, it’s the global shipping industry that brings us an endless supply of ever-cheaper goods from overseas. Ironically, the shipping industry, too, faces the same relentless downward pressure on prices, and it’s creaking under the strain. What does it mean if a key engine of global competition — the logistics companies that bring us all those inexpensive goods — can’t survive its own global competition? In the end, how cheap is too cheap? Economists usually focus on cheap foreign labor when assigning blame for our trade imbalance, which hit a nine-year high at $566 billion in 2017 (with China alone, it’s estimated at $375.2 billion). 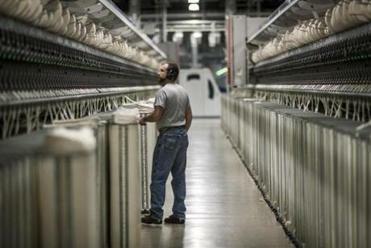 We’ve been programmed to think that high manufacturing costs are the culprit. This paradigm casts American workers as the enemy in our country’s lopsided import-export equation. The Trump administration has responded with tariffs; taxing imports, it’s thought, will even out the playing field. Yes, labor pricing has an impact on what you pay for a T-shirt at H&M, but the other critical element in a commodity’s price is the cost and ease of getting stuff from point A to point B to point C. If transportation is incredibly cheap, products made at lower prices will flood the market. It’s inevitable. Shipping was once too expensive and too slow to threaten America’s domestic manufacturing sector, so few gave it much thought. In the 19th and 20th centuries, the United States dominated international maritime routes, and our products flowed out to all corners of the Earth. Now US vessels make up less than 4 percent of the global fleet. Concomitant with the demise of the US Merchant Marine was the rise of America’s trade imbalance. Correlation does not prove causation, but it’s noteworthy that, when foreign ships began to flow into America’s ports, Americans started filling their homes with things manufactured abroad. While better cranes and bigger ships have driven down the cost of shipping, there’s another factor at work: shipping subsidies. Developing countries understand that waging a trade war in the global realm means mastering logistics. Getting cheap things to market fast. In an attempt to tip the scales in their favor, most developing countries are aggressively bankrolling their shipping infrastructure, using public funds to build and expand their ports, increase shipbuilding capacity, and improve roadways and rail lines. China’s vigorous support for its nation’s transportation infrastructure — especially the construction of ports, ships, and highways — explains why American consumers can now order things directly from that country on the cheap. In a recent poll of consumers, 73 percent said that free shipping influenced their purchasing decisions. Direct shipping to the United States, further subsidized by US taxpayers thanks to a little known United Nations agency that sets inter-country rates for mail delivery, means that now it’s more expensive for a domestic merchant to ship things within the United States than for a product to get from Guangzhou to Boston. How does that play out? Take that H&M T-shirt. It’s a global product: the cotton was grown in India, exported to China for processing into cloth, shipped to a Vietnamese factory where it was cut and sewn, and packed onto a container ship bound for the United States. All of that movement around the globe once would have jacked up the cost, but now, thanks to foreign shipping subsidies, automated loading, and the cutthroat nature of international maritime industry, the cheap shirt gets to you for pennies. Those countries that do support their shipping industries most vigorously, like China, Taiwan, and South Korea, see their subsidies as part of broader industrial and trade policies designed to support jobs in the logistics sector, but also to support the flow of goods out of the country, and the money back in. Americans haven’t thought like this in a long time. To remain competitive, big US companies that heavily rely on logistics are acting like sovereign nations, using their financial muscle to speed up their own supply chains and drive down costs. Amazon spent $25 billion last year on logistics to maintain its market share; the company is currently seizing control of a large chunk of its own transportation, reports the Economist. Amazon owns a fleet of at least 33 planes and is exploring plans to launch its own parcel delivery service called “Shipping with Amazon,” which would directly compete with other shippers. The company has also begun leasing ships delivering goods from China. Amazon intends to beat third-party logistics companies by using its vast consumer data resources to refine endpoint-to-endpoint coordination and reduce its costs while delivering goods faster. Shipping subsidies have also devastated the maritime industry itself. It’s estimated that global shipping capacity now outweighs demand by 20 percent, driving down shipping rates on key global trade lanes to below cost. You’ll pay $600 to send a container from Asia to Europe — the busiest shipping route. That’s less than half the estimated break-even cost of $1,400, The Wall Street Journal recently reported. Soren Skou, CEO of AP Moller-Maersk, the largest shipping company in the world by capacity, worries a lot about this. “I don’t think any government needs to throw money at container shipping, building ships that are not needed,” Skou said in April at a maritime conference in Singapore. The effects of subsidies were evident further north: Korea’s largest container shipping outfit, Hanjin, went bankrupt in 2016. The same global forces undercutting the maritime industry have sent America’s fragile logistics industry into a kind of death match with itself. In that way, the doomed El Faro is a tragic victim of much larger trends, for which 33 men and women paid the ultimate price. 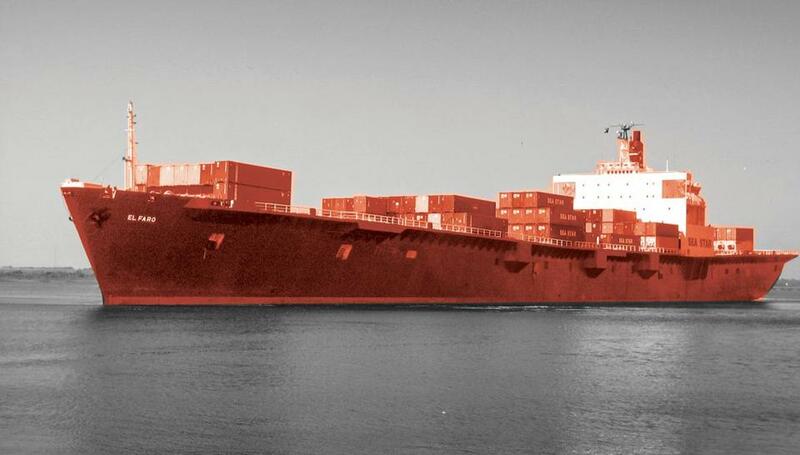 When El Faro headed out from Jacksonville, Fla., to San Juan, Puerto Rico, on its final run, it was carrying cars, furniture, dolls, milk, bicycles, medication, diapers — all the necessities of modern life — loaded from American warehouses and bound for big-box stores on the island. El Faro was one of just a few ships allowed to service the mainland-Puerto Rico run because it was designated a Jones Act vessel — American-owned, American-built, and crewed predominantly by American mariners. But with the repeal of decades-old manufacturing tax subsidies under President Bill Clinton, the island’s economy went into a tailspin. In just 10 years, from 1998 to 2008, the island lost nearly 40 percent of its manufacturing job base, unemployment soared, and more than half a million people fled to the mainland in search of work. Demand for goods fell precipitously. By 2003, these two factors — Puerto Rico’s economic decline and the incursion of foreign shippers into the Puerto Rico run — drove the three Jones Act shipping companies serving the island to illegally fix freight prices and divvy up the declining number of contracts so that they could hold onto revenue. They got busted in 2008, one company went bankrupt, and several executives served jail time. Something was clearly wrong. Even on routes protected by federal law, financial pressures on shippers had grave consequences. Without shipbuilding subsidies other countries enjoy, the two surviving American freight companies serving Puerto Rico were reluctant to replace their doddering steamships, including TOTE’s 1970s-era El Faro. New emissions standards, however, finally caught up with the heavy oil fuel-burning El Faro. In 2012, TOTE underwent a major restructuring that resulted in the loss of some of its onshore support staff; the remaining employees shifted their focus from operations to building and staffing new liquefied natural gas ships. Meanwhile, the ancient El Faro continued steaming back and forth between Jacksonville and Puerto Rico, patched together with salvaged parts and lots of epoxy. TOTE continued hacking away at costs to preserve profit margins, but in the dangerous world of mariners and old steamships, these decisions created a precarious situation. El Faro’s officers were ordered to cut back on crew overtime, which caused a deep rift between the ship’s leaders and the workers on whom they depended to keep the old vessel clean and operational. El Faro’s officers were exhausted by the relentless push to adhere to a grueling schedule. From the black box transcript (at 26 hours, the longest in history), we know that the second mate was taking ZzzQuil to fall asleep and slamming coffee to stay awake between shifts. Another factor dooming El Faro: TOTE’s ship captains lost their sense of job security; on the steamship’s final run, Captain Michael Davidson repeatedly discussed fear of losing his job with his chief mate on the bridge of the ship, a conversation captured by the ship’s black box. In the end, the relentless push for cheaper shipping colored Captain Michael Davidson’s judgement. He spent his final days refusing to acknowledge the growing threat of Hurricane Joaquin and ignoring his fellow officers’ warnings that the storm would not shift from its collision course with the ship. Instead, Davidson made a vow to himself that he’d get the goods to Puerto Rico on time. That proved a fatal mistake. In economics textbooks and in boardrooms, it’s possible to imagine that global supply chains will get leaner and more efficient year after year. But at some point, these dynamics test the abilities of those individuals charged with making critical decisions in often dangerous conditions on the open seas. The loss of El Faro revealed a tiny crack in the enormous yet fragile infrastructure designed to move goods around the world, driving some economies and destroying others.